"Rows of trees" by L. Michael Hill Ph.D. 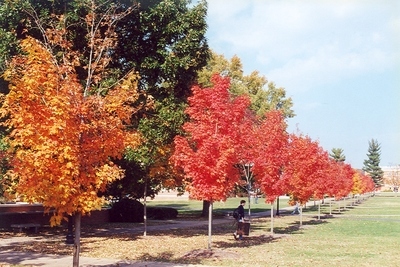 These rows of trees extend from East College Street across Dinkel avenue and terminate in front of the McKinney Center. Note the two white pine, Pinus strobus (Pinaceae) in the distance.